Dragon Anywhere for iOS has been a long time coming but details have been scare till now with Dragon Anywhere getting it’s release on a monthly payment system. I’ve been a huge fan of Dragon Dicate products for years now. 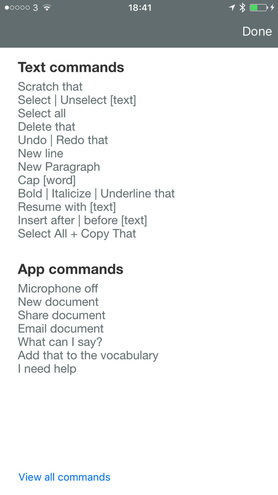 Once you get used to talking to computer and mastering Dictation commands it really is so much quicker and easier than typing. Dragon Anywhere is the portable sibling of its desktop counterpart. Scheduled to be released I managed to get on the beta testing program and so far, it’s looking very solid experience. Getting a very much-needed iOS style makeover, Dragon anywhere not only looks better but also has more functionality than its previous incarnation. Dragon anywhere has been given a fresh coat of paint keeping very much in line with iOS aesthetics. 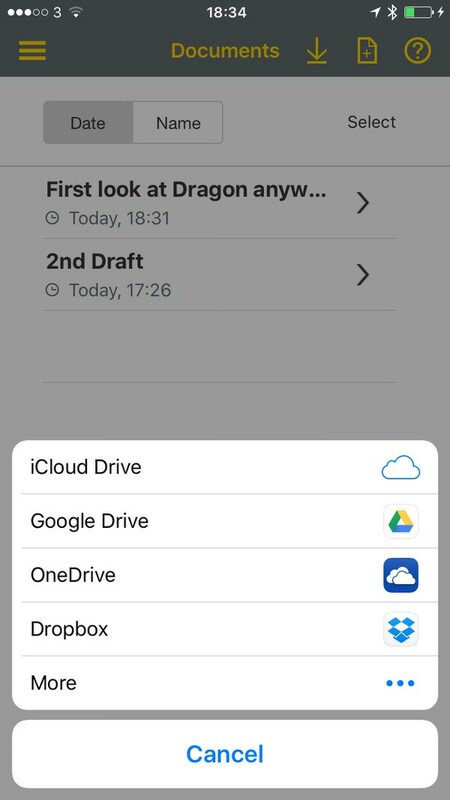 Documents can be created from within Dragon anywhere or you can import documents from popular online file storage solutions such as iCloud Drive, Google Drive, dropbox, onedrive and so on. Documents are limited to the following extensions .docx, .rtf, rtfd and .txt. Notice there is no support for Apple pages! Documents need to be the exact file extension otherwise they won’t open. Filenames ending in .doc and not .docx cannot be opened. Any document you open from your online storage area is held on your device with changes automatically saved. However changes are saved locally so you have to upload the document back to where it came from which is a royal pain in the backside. This seems a somewhat backwoods approach going back to having to pull the file down, edit the file, and then upload it once you are done. As people will be aware of it all too easy to end up with different revisions of the same documents across different devices with this sort of workflow. 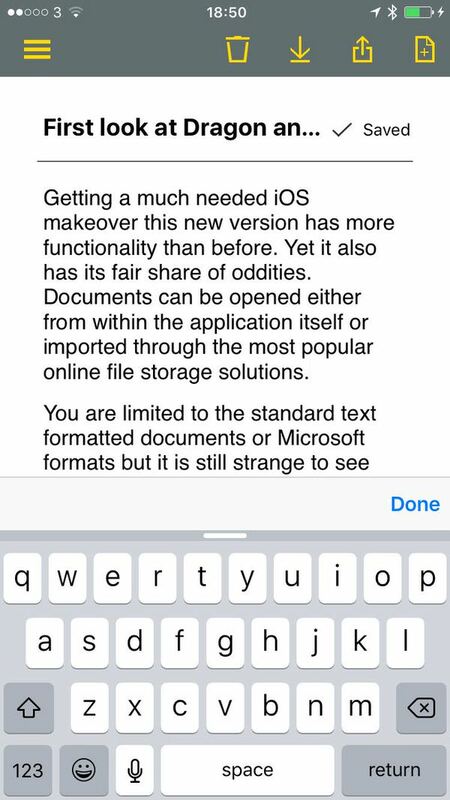 After testing it’s clear that Dragon anywhere works best with plain old text formats. Be warned that if you import a Microsoft Word document with fancy things such as different fonts or heading styles applied, all of that is lost when you import into Dragon anywhere. Line breaks and paragraphs are kept at the very least. The main editing screen is nice and you can adjust the text rendering size to fit more on the screen. 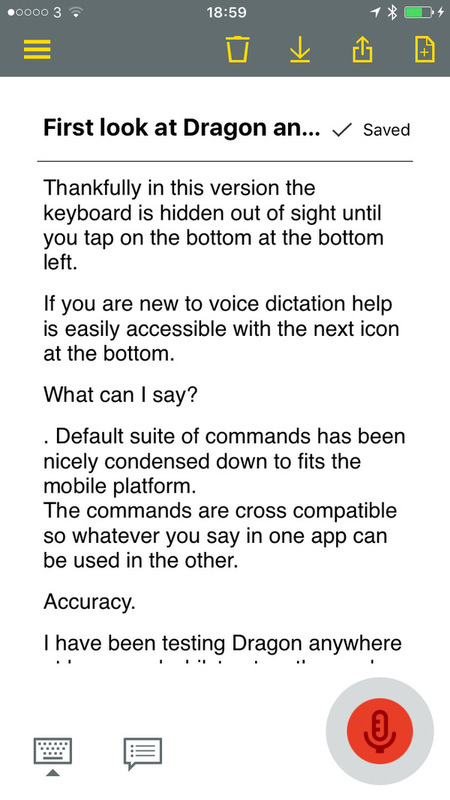 If you need to go into old-fashioned keyboard mode simply tap on the icon down on the bottom left and if you are ever unsure of a command or what you can say help is easily accessible from the main screen. 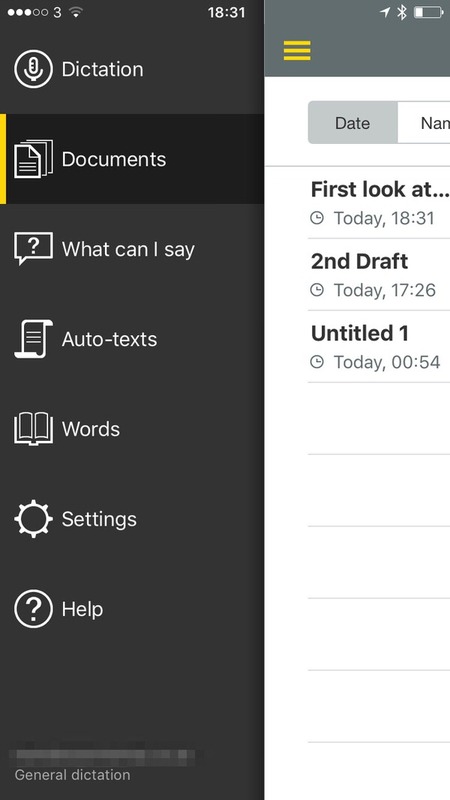 Some might like this feature, some may not but after every dictation Dragon anywhere automatically saves changes made to the documents. Being a mobile sibling of the desktop version means that commands have been condensed down to fit dragon anywhere. there is no correction window like on its desktop counterparts so it’s worth taking the time to learn commands such as “select window like on it’s desktop” which will select those words and then try re-dictating for better results. All commands are cross compatible so whatever you say on the desktop version can be used on the mobile application and vice versa. In the help menu what you can say is nicely broken down into easily digestible chunks so you don’t suffer from getting overwhelmed like what can happen on the desktop version. I have been putting Dragon anywhere through testing in less than ideal conditions at times. At home, connected to my Wi-Fi network and in the quiet confines of my office accuracy has simply been outstanding. In another test outside, walking along with a slight bit of wind and my microphone shielded, accuracy rates were still hugely impressive. the response times of translating my spoken word into text were not that far from using my Wi-Fi connection in terms of speed, using my mobile data connection. Granted the public aren’t that many people using Dragon anywhere right now so only time will tell if the server’s responsiveness will keep up under load. So as you can tell I am hugely impressed with Dragon anywhere, even at this early stage of its development. Yet, unfortunately, Dragon anywhere suffers the same problem as its previous incarnation as does Siri. If for whatever reason your data connection is lost or simply times out when communicating with Dragons own servers anything you said is lost. There’s no buffer nor retry option. I have asked nuance about this in the past and they said that nothing is stored in a buffer due to data privacy and security. The pricing is subscription based and it’s certainly not cheap. 1 month : $15, 3 months : $40, 12 months : $150 and thats going to put many off purchasing especially given the lack of document cloud synching. 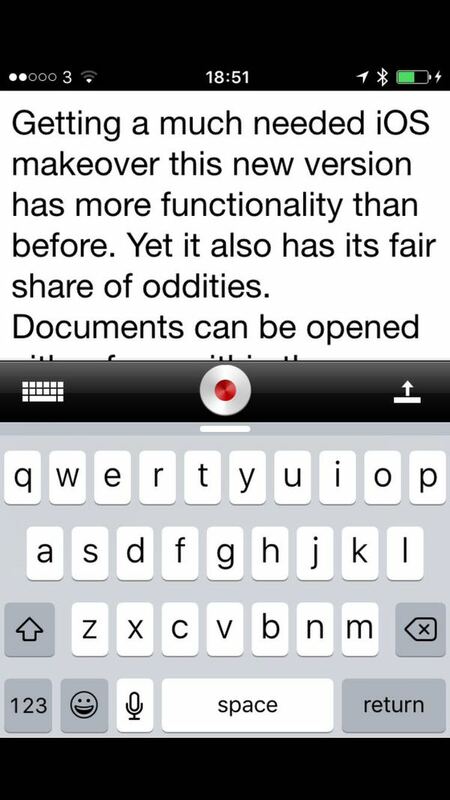 So comparing this to Apple’s baked in speech recognition what are you getting thats different? 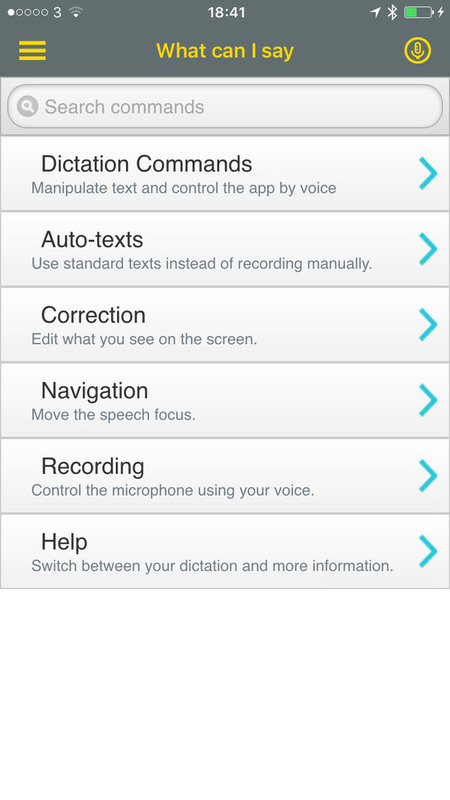 Continuous speech recognition, no 30 second constraints. Whilst accuracy is impressive there is a lot of areas where Dragon Anywhere falls flat, so incredibly so given the price that’s being asked. .
No online cloud working. Documents are downloaded. Document formatting is stripped out on downloaded documents. Although this is just the first version is turning to be something quite special. Gone is the inconsistent UI of its previous version. 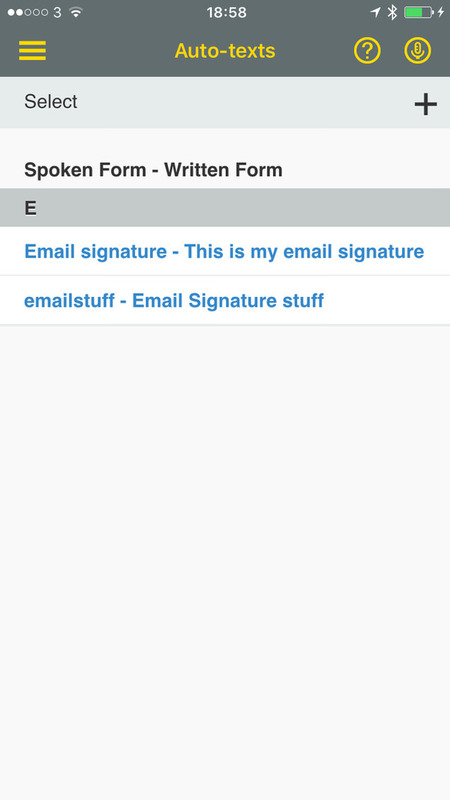 Not only does the application look better with increased functionality it also shares any “auto text” snippets you create on your desktop to your mobile device. The only real disappointment to me is the lack of support for pages, no retry option in case you lose your data connection and the lack of syncing between Dragon anywhere and Dragon Dictate 5 in terms of documents you create in Dragon anywhere.